Okay, so the loss of two arguably-historic homes is indeed tragic, and we certainly should try to preserve historic buildings wherever possible. 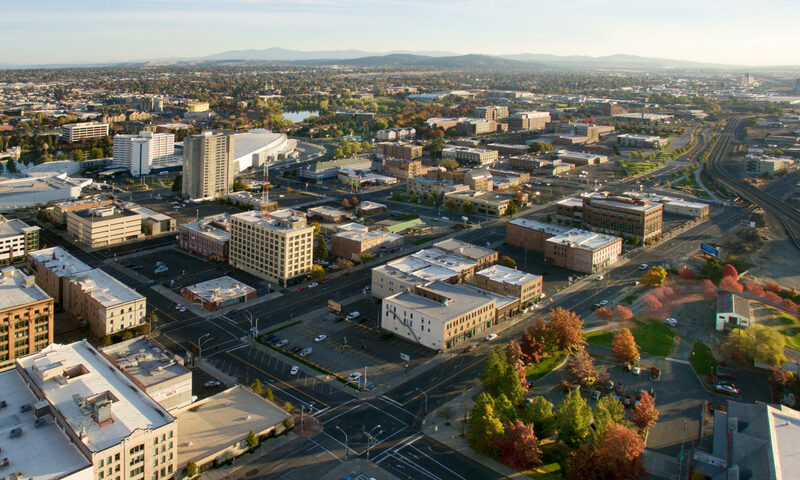 But we can’t help but feel that the hyperbole surrounding this project on KREM and other pages would be better directed at helping building owners discover the benefits of historic registration, or some similar pursuit. Because let’s face it: the homes’ replacement will certainly add something to the Browne’s Addition neighborhood as well. And let’s not forget that similarly-aged homes are frequently torn down elsewhere in North America due to their relatively young age. Specifically, the “Browne’s Addition Apartments” (we’re really getting creative project names here) will add 21 new apartment units at 2335 W 3rd Ave in Spokane. The building will feature underground parking and, evidently, balconies for added space outdoors. We certainly won’t say that the architecture is particularly distinctive or noteworthy, but it is something new for the neighborhood, and a certain level of variety in housing options can only be a good thing. Let’s just hope that the next project is more of an extensive remodel than a total tear-down. SHARE YOUR THOUGHTS: Should this developer have tried harder to save the units that once stood on this site? Are you excited to see a new project in the Browne’s Addition neighborhood? Share your thoughts below, on Twitter, on Facebook, or in person. We love to hear from you.